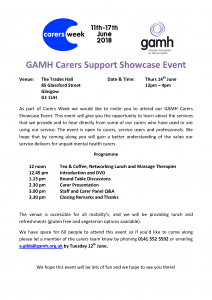 As part of Carers Week we would like to invite you to attend our GAMH Carers Showcase Event. This event will give you the opportunity to learn about the services that we provide and to hear directly from some of our carers who have used or are using our service. The event is open to carers, service users and professionals. 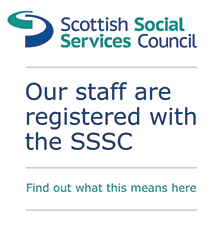 We hope that by coming along you will gain a better understanding of the value our service delivers for unpaid mental health carers.